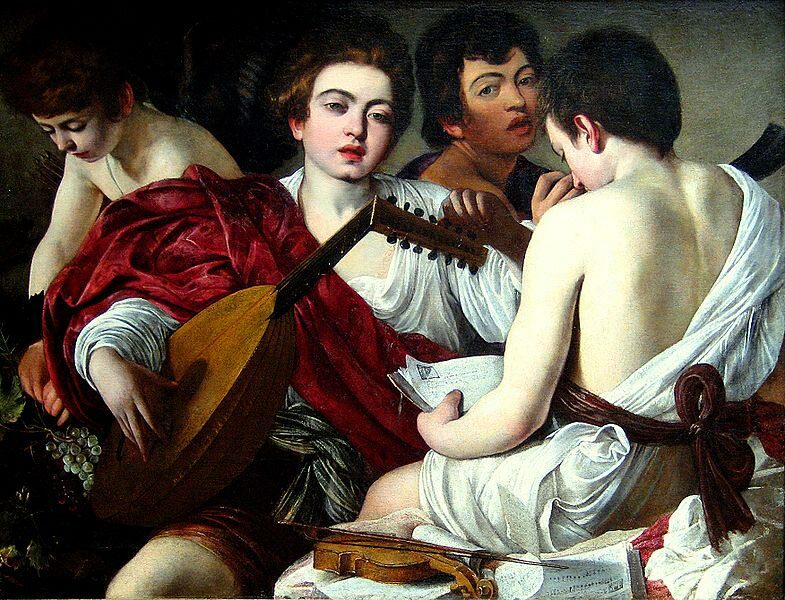 There may be a lot of internationally-competent painters in Italy, but one person named Michelangelo Merisi da Caravaggio became an important figure in the 15th century not only because of his works, but also because of his forgotten legacy which was carried on until well into the twentieth century, and his unbelievable temperament. His works of art, like his masterpieces the Martyrdom of Saint Matthew and the Calling of Saint Matthew, highlighted the vivid use of lighting effects, realistic view of the physical and emotional human state, and the incorporation of the Baroque style of painting. 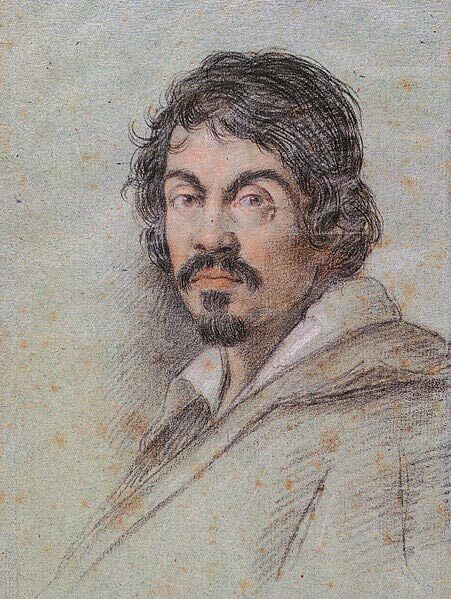 Michelangelo Merisi da Caravaggio was born on September 29, 1571 in Milan to his father Fermo Merisi, a household administrator and architect and decorator to the Marchese of Caravaggio, and his mother Lucia Aratori. In 1576, a horrible plague affected the areas of Milan, which forced the family to move to Caravaggio; unfortunately, his father died from the plague in 1577. He grew up in Caravaggio while being supported with the Sforzas and the Colonna family, especially when his mother died in 1584. Even in his childhood, Caravaggio expressed great interest in the field of art. He signed as a pupil of Titian, and as indicated in his contract of apprenticeship, he began serving under Simone Peterzano, a Milanese painter. During this time, he honed his skills by becoming familiar with works of art like the Last Supper of Leonardo da Vinci, and the Lombard style of art with its emphasis on simplicity and naturalism. However, in 1592, he moved to Rome, and it was this time that his arrogant and violent attitude became evident, because of his fights with the police. He eventually reached Rome, but he was almost naked and dead-hungry without any money to spare. Due to this, he decided to do hackwork for Giuseppe Cesari, the favorite artist of Pope Clement VIII, and his works like the small Boy Peeling a fruit, the Young Sick Bacchus, a Boy with a Basket of Fruit, and a self-portrait after his recovery from an illness were among his early notable works. In 1599, he was called to beautify the Contarelli Chapel, and he created the Martyrdom of Saint Matthew and Calling of Saint Matthew, that both highlighted his famed tenebrism style. He continued painting religious works of art that feature death, decapitations, and violent imageries, the most famous of which was The Taking of Christ for the Mattei Family, but they were more often than not dismissed by art critics for being too grotesque or vulgar. Although his works of art like the Entombment, the Madonna di Loreto, the Death of the Virgin, and the Grooms’ Madonna were dismissed by people, especially priests and religious groups, a few appreciated the techniques he incorporated in his pieces. Caravaggio was not only famous for his works, but also for his notoriety as well. He had been involved in a lot of police and civilian brawls, and on May 29, 1606 he even killed a young Ranuccio Tomassoni of Terni. He was about to face legal action in Naples despite his success as an artist, but he fled to Malta in order to gain the pardon of Alof de Wignacourt, who was enthusiastic enough to grant him his wish and induct him as a knight. However, after a speculated brawl in August of 1608, he was arrested and imprisoned, but he was able to escape, and it was that time that he was expelled and branded as a “foul and rotten member.” He fled to Sicily first for safety, and then went back to Naples in order to paint the Denial of Saint Peter and the Martyrdom of Saint Ursula, which was considered as one of his best works due to its high portrayal of drama and action and the display of impressionism and technique. 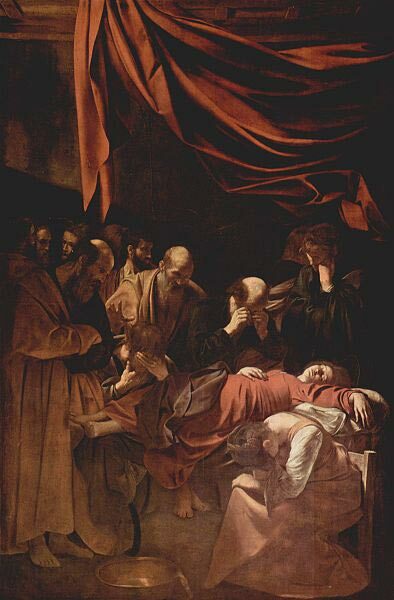 Caravaggio was noted to have been a master of the chiaroscuro technique, wherein he truly emphasized the oscuro element by darkening shadows and engrossing subjects in a ray of light to highlight physical and psychological reality. He was exceptional as a live painter, and he was known to work directly on canvass. He has the uncanny ability to highlight the expression of an intense moment with unsurpassed vividness. In 1610, he decided to travel to the north to deliver his last three paintings to Cardinal Scipione as peace offerings to relieve his pardon, but the events following that were unclear. However, due to current innovations in carbon dating, it was found that the cause of his death was lead poisoning. His death concomitantly caused the disappearance of his fame and works, even though his techniques inspired Baroque art with his chiaroscuro without the psychological realism. Not much was known about his works until recent discoveries and diggings of his works of art, the most recent of which was in June of 2011, when his Saint Augustine painting was discovered. Even with the long period that he was not credited for his talent, many critics have claimed that Michelangelo Merisi da Caravaggio remained as one of the most influential Italian painters of all time.